PRESIDENT Edgar Lungu has called for a reliable data-base of all citizens living with physical limitations to enable Government provide an efficient service for all its people. President Lungu said comprehensive database was indispensable to the foundation for inclusive development. He said this was why the Government through the ministry of Community Development and Social Services commissioned the Disability Survey in 2016. 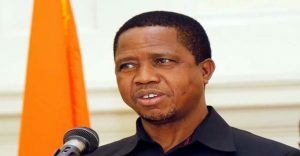 President Lungu said the information in that survey was ready and should inform programming not only in Government institutions, but also in non-governmental organisations and among cooperating partners. “In fact, the absence of reliable data on the incidence, distribution, and nature of disability and on the inclusion and specific needs of the persons with disabilities explains why limited progress has been made on disability. 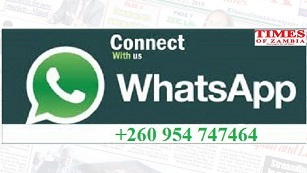 We don’t know who is disabled, how many are disabled and where they are,” Mr Lungu said. He said this yesterday at the 6th Community-Based Rehabilitation African Network Conference in Lusaka. The theme of the conference is ‘community based rehabilitation for resilience building and sustainable development: leaving no one behind’. The President said it was an honour for Zambia to host the conference because it gave the country the opportunity to further address challenges faced by the disabled. He said the conference gave Zambia an opportunity to share best practices to end marginalisation, poor health and education service, violence and abuse that mainly children with disabilities encountered. Mr Lungu said addressing challenges of the disabled was a priority of the Government and that was why he ensured that he attended the conference. He said Zambia had enacted policies, enshrined in the Constitution and the Vision 2030, policies to address issues to do with the disabled. The President also called on all contractors to ensure that newly constructed buildings were disabled friendly. Community Based Rehabilitation Africa Network chairperson Musonda Siame said the conference delegates should ensure that the discussions translated into practical solutions. Mr Siame said addressing the challenges of the disabled required efforts of the community workers, Government, civil society and the private sector. Community Development Minister Emerine Kabanshi said the conference was co-hosted by the Community Based Rehabilitation Africa and the Zambian government. Ms Kabanshi said Government support to host the conference as well as the presence of Mr Lungu at the conference was an indication that the Government was committed to alleviating the quality of lives for the disabled.